Ms. Lauenstein’s practice focuses on divorce and separation, child custody, visitation, division of marital property, alimony, child support, paternity, adoptions, prenuptial and postnuptial agreements, domestic violence, jurisdictional disputes (including international child custody disputes), and interstate child custody and child support matters. She also handles protective orders, peace orders, appeals, and guardianship and custody matters relating to immigration cases concerning special immigrant juvenile status. Ms. Lauenstein began her professional career working at the Baltimore County State’s Attorney’s Office where she worked for over 7 years. During her tenure as an Assistant State’s Attorney, Ms. Lauenstein did tours of duty in the District Court, Juvenile and Felony Trial Divisions. Ms. Lauenstein quickly developed a reputation as an aggressive but extremely fair prosecutor. She gained the respect of the judges whom she appeared in front of as well as her fellow prosecutors and members of the defense bar for her sharp intellect and ability to quickly and accurately evaluate complex legal issues. Before joining Silverman, Thompson, Slutkin & White, Ms. Lauenstein worked at a private firm focusing on defense civil litigation matters involving civil rights violations. She aggressively defended her clients in Baltimore City Circuit Court and United States District Court. 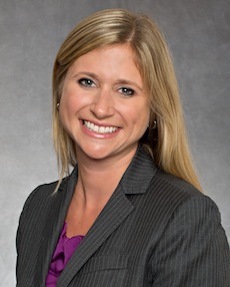 Ms. Lauenstein is now utilizing the considerable experience and expertise that she gained as a prosecutor and in civil litigation practice to skillfully and effectively represent family law clients. Ms. Lauenstein has successfully handled hundreds of family law cases, obtaining favorable results for her domestic clients. Ms. Lauenstein is attentive to the needs of her clients and is thorough in her preparation in order to proficiently advise each client as to their individual situation. She is determined to obtain positive results for her family law clients, whether through a collaborative approach or through litigation. Through her years of practice she has become skilled at navigating the complex personal and legal issues which are inherent in family law.